Energy Trust now offers a new standard incentive for air-cooled variable refrigerant flow (VRF) multi-split heat pumps for use in offices and K-12 schools. This new equipment solution maximizes energy efficiency without presenting code issues on new installations or retrofits. The new standard incentive provides more options for customers who were previously limited to a custom project that included a fuel switch. 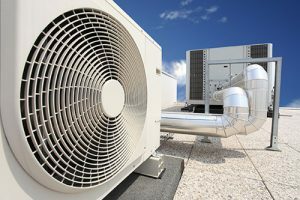 Trade allies can help customers further reduce energy costs by coupling VRF with other equipment. Paired with the required dedicated outside air system (DOAS) equipped with a heat recovery ventilator (HRV), outside air load conditions are offset. The HRV effectively reduces the load on the VRF system—an added benefit for air moving through the system. With a relatively long life of 15 to 20 years, VRFs are a good HVAC investment. The standard incentive is outlined in the following table. Custom incentives may also be available if the standard incentive requirements cannot be met. 1The incentive is limited to offices and schools. For more information, contact Aaron Lazelle, trade ally coordinator, at 541.460.1517.